Attorney General William Barr wrote a letter to the Senate and House Judiciary Committees on Sunday presenting his brief summary of special counsel Robert Mueller’s report into potential collusion between the Trump campaign and Russia. The report itself, released to the Justice Department on Friday afternoon following nearly two years of investigation, has not been made public, but Barr reported that the investigation found that President Donald Trump did not commit a crime. Although Mueller’s team unambiguously concluded that Russia did attempt to interfere in the 2016 presidential election, and charged 25 Russian intelligence operatives and experts in social media manipulation in two indictments last year, Russian officials have claimed Barr’s summary exonerates their government. 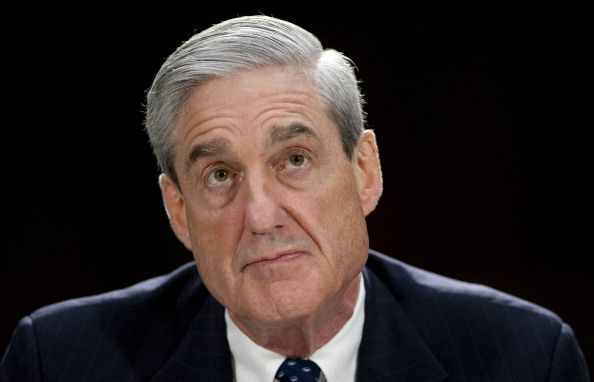 “We have studied some extracts and conclusions [of Mueller’s report], which in fact state nothing new, except that it acknowledges the lack of any sort of conspiracy,” Kremlin spokesman Dmitry Peskov told journalists on Monday. Experts, however, argued that Barr’s letter should not distract from the fact that Russia has interfered in not only the U.S. democratic process but also elections around the world. They warned that Russia may attempt to twist Barr’s conclusions to fit its own agenda. What’s more, they said, Moscow may be emboldened if it sees that its efforts to sew discord paid off. “The Russians are obviously using it not only to say that there was no collusion, which is what the letter says, but also that Mueller didn’t find any evidence that Russia interfered, which [is] a lie, obviously. This is how they are spinning the report,” Jakub Kalenský, an expert on Russia and disinformation at the Washington D.C.-based Atlantic Council, told Newsweek. Jed Shugerman, a professor at Fordham Law, argues that the extent of Russian election interference and the role played by U.S. persons could become clearer as U.S. lawmakers work to obtain a complete version of the Mueller report. For now, lawmakers only have Barr’s letter, which includes just one page on Russia. “I think it’s possible that Barr comes in as Attorney General at a time of real chaos and bitterness and partisanship within the FBI and the [Department of Justice] in terms of frustration with Trump. I do wonder if Barr’s letter was meant to impose order on the DOJ and FBI under one simplistic conclusion, despite what the report actually says,” Shugerman told Newsweek. But while Congress is fighting to obtain a complete version of Mueller’s conclusions, analysts note that Russian media is celebrating Barr’s letter. “When Trump appointee, William Barr, delivered a brief summary of the Mueller report, the Kremlin reacted joyously and sarcastically,” Olga Lautman, an investigator focusing on Russian interference, told Newsweek. Meanwhile, experts point out that the U.S. is far from the country’s only target. Russia has attempted to interfere in elections of many U.S. allies as well, and will likely continue its efforts in the coming years, analysts argue.